I was raised by my mom to be a witch. So for me, there was no coming out of the broom closet and no trauma. The one thing I never understood when I was younger was why my mom was so adamant about practicing as a solitary. I knew she'd been part of a coven at one point, but she never talked about it. However, being a teenager, I of course knew everything. Which is why my friends and I decided to form our own coven. Imagine the drama capabilities of one teenage girl. Now multiply that by six. Scared yet? You should be. Some of our problems came from being young. We didn't know what we were doing and didn't have anyone to ask. We learned from books and the internet, with no idea of who was a bad source or could be trusted. Those were the simple mistakes. Mine was trusting in people I didn't know well too easily. I fell in with a group of girls who had no idea how to support one another and instead ripped each other to pieces to feel better about themselves. I was shredded. I walked away. When I decided to start over, I also decided to learn the right way. I joined an online women's mysteries group. I wanted to be mentored. I wanted to learn. Everything sounded good on paper. I fell into another trap. The leader was charismatic. She started with good ideas. I believe the attention got to her. Simple as that. I saw things change. Become more complicated, sometimes even dangerous. I reached a point where I became physically ill. I walked away. Now I was really lost. I went back to the remaining members of my original coven. The worst members, to be honest. I allowed myself to be used, abused, and endangered. This time, I didn't just walk away. I ran. I ran all the way to another religion. My mother's family is Jewish. According to the religion that makes me Jewish as well. I studied. I learned. I started following rules. Then more rules. I tried to become more and more devout. More and more leaning towards Orthodox. Then Hasidic. Maybe if I followed enough rules, I wouldn't feel like I was drowning anymore. Or maybe I just wouldn't feel anymore. I chased religion to wipe out everything that made me unique, or an individual. By the time I finally got a wake up call, I didn't know who I was anymore. I walked away. At this point I was lost and confused. I had next to no friends, as my excessive religiousness had put people off. I was incredibly lonely. So I decided to take a chance. 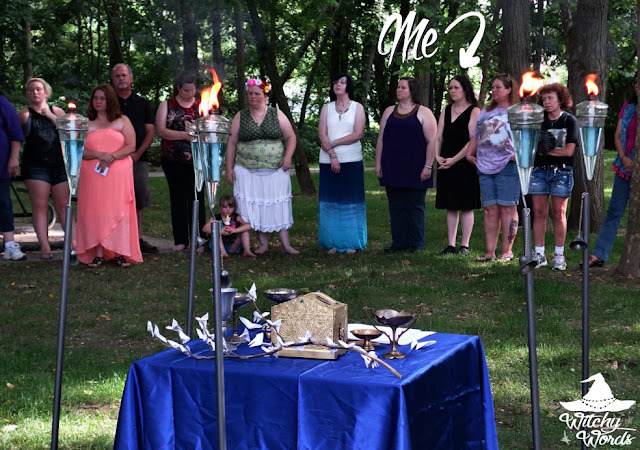 I found out about the open rituals hosted by the Lithi Lushede coven through the Kansas City Witches Meetup group. The Midsummer ritual was close. I decided to go. I am shy. I was absolutely, down to my bones, terrified. Don't get me wrong, the people were amazing and friendly. The ritual was fun and freeing. If I hadn't enjoyed it I never would have gone back. But I knew literally no one. At all. I wanted to run away screaming. But I didn't. For which I will always be grateful. Because at my next ritual, I saw someone who looked new and scared. And I decided to pay it forward, and put her at ease, the way others had for me. I will always be glad I did. Her name is Amy, and I am lucky to now call her a circlemate. 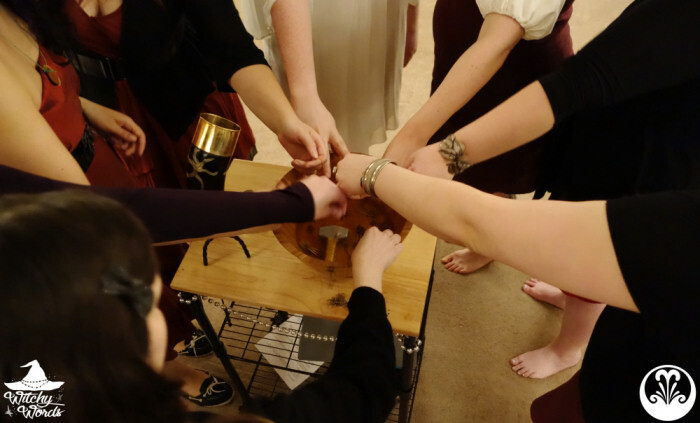 A group of us stayed to talk for hours after the ritual. That was the night I met Andrea and Phaedra. Two more of the amazing women in my life and my circle. However being me, I had been burned before. Many times. So I tried to run. Put some distance, because I knew trusting women or circles never worked. Luckily for me, Phaedra is incredibly hard headed. We became friends and she talked about her amazing circle. I met her family and they talked about her amazing circle. She invited me to her birthday party and introduced me to Kira and Marietta. You guessed it, two members of her amazing circle. And I realized that some people? They really are who they seem to be. 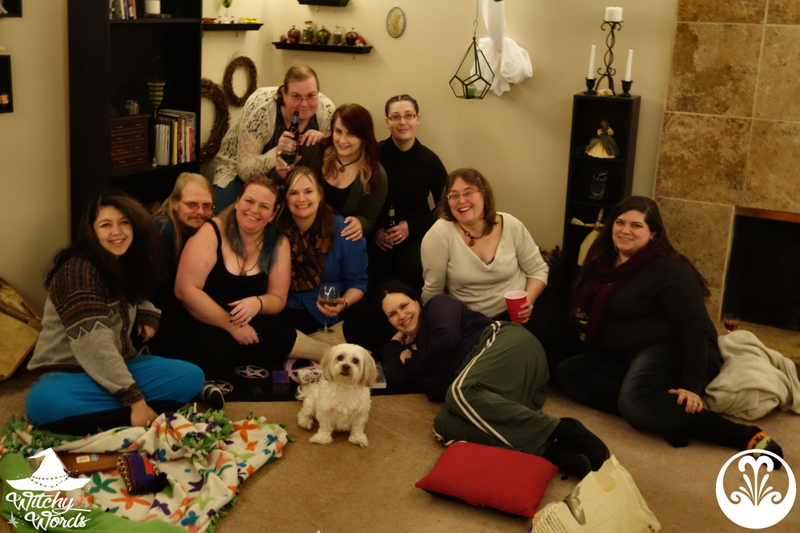 They invited me for a drunken divination night, which is one of the best things ever, and I felt completely comfortable and at home. I finally went to one of the meetings Phaedra had been trying to drag me to for months. By Yule I was joining the Circle of Fountains. With Amy. Remember her? Yeah, I thought that was pretty awesome too. Now, I love everyone in my circle, even the lovely ladies I hadn't met before. I look forward to every event, get together, and holiday. I still love drunken divination and don't know why that wasn't a thing in my life sooner. I talk to my circle every day. I know that they have my back and will always support me, and vice versa. They even helped encourage me to go back to school and pursue my dreams. I found my home. I found my tribe. And that voice that always tells me to walk away or run? Haven't seen or heard from it since. Abby, the Circle Stenographer, is currently working in the security field and attending college full time to finish her pre-med degree. She was raised as a hereditary witch by her mother and is currently practicing as an eclectic witch with Celtic and Russian influences. She is interested in learning more about different mythologies and the intersection of magic and science. 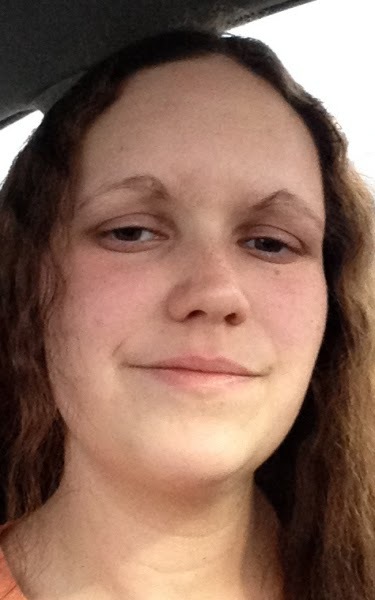 Abby: thanks for sharing your experience! It can be hard to find the right fit but Circle of Fountains sounds so amazing and supportive. I'm glad you found people that are good for you! Best of luck with school and everything. Very similar to my experience, except I'm still looking for my tribe. Thank you for sharing! Thank you for sharing your experience! 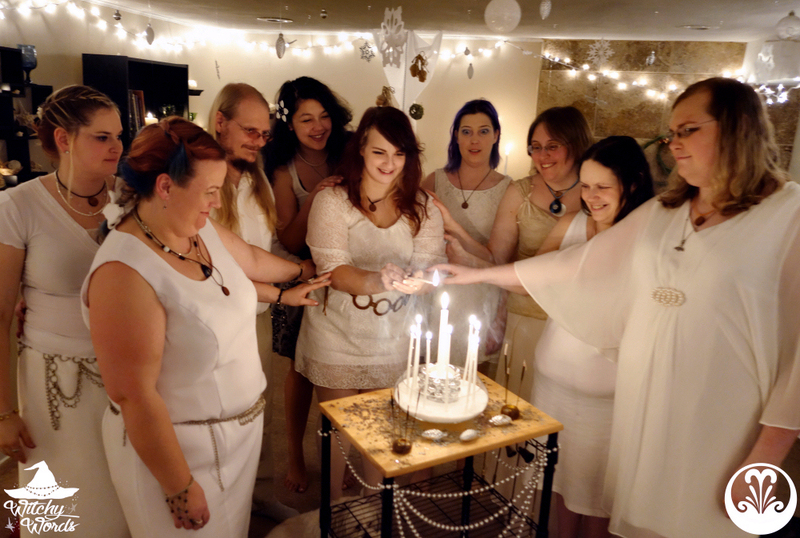 I've never joined a circle or coven before, but your story explains exactly why I prefer to work alone. It would be wonderful to find a group, but the few times I've gone to open events, I've been made to feel like an outsider. I don't "look" like a witch. I don't "act" like a witch. I'm too "normal." Whatever any of that means. You're story gives me hope that maybe one day I'll meet some other witches in real life that I get along with well enough to create a circle with. In case you're confused for time and you have a couple of assignments that should be finished, you can employ task composing services to carry out the occupation. Various case study essay writing service show up on the Internet and it is vital that you scrutinize the organizations completely to guarantee that you are getting the best service for your cash. The experts ought to hold a scholarly degree and have no less than five years of involvement in exploring on various points and expounding on them for others. In the event that an inexpensive essays service shows up excessively gimmicky and has dubious data about themselves.